Our goal is to empower social impact and nonprofit organizations to have greater impact with less investment of time and resources. We offer tools and processes that help build learning and create more resilient organizations. CEO and Founder Alison Peters provides a human-centered design approach to help organizations increase their impact. She works with nonprofit, business, and government clients, often adapting business tools such as lean systems and human-centered design processes to fit the specific needs of a client. Much of her work is with environmental and human services nonprofits and international development NGOs. Types of projects include strategic planning, program design, customer research, streamlining business processes, and facilitating difficult but critical conversations. Alison became fascinated by the way design thinking creates opportunities to explore new ideas, and lean startup and systems principles create a clear way to assess how those ideas work in real time. She'd like to see more...experimentation, risk-taking, and people who are delighted by their work. Not to mention products and services that really meet the mark and have demonstrable impact. She now works with collaborative partners with expertise in different aspects of these skills to bring user-centered innovation to business and nonprofit leaders. She has served as Managing Director of the Deming Center for Entrepreneurship at CU-Boulder, where she managed Center operations, strategic planning and implementation. She has also served as the Environmental Affairs Director for the City of Boulder, a personal and professional coach, a sustainability researcher, and a congressional legislative assistant. She has a BA from Yale University and an MA in economics from Stanford. In her free time she can be found tackling yet another home improvement project or just wandering down to the creek. Our network of partners and frequent collaborators helps add value in design and subject matter expertise, depending on your needs. Bill is a Senior Consultant at Pathways Non-Profit Solutions, a firm he founded in 2003 to design integrated planned giving and development programs. Prior to that, Bill served as Director of Planned Giving at Regis University, and worked in planned and major gifts at the Children's Hospital Foundation and National Jewish Hospital. Bill has served on numerous non-profit boards and committees, including six years on the board of the Colorado Planned Giving Roundtable. He has presented on numerous occasions, including the Association of Fundraising Professionals. He has a BS in Finance from Indiana University and is a Certified Financial Planner. Courtney (she/her) is the CoFounder and CEO of Moxy, a women- and POC-led group of writers, fundraisers, designers, artists, and facilitators that collaborates with social justice & philanthropic organizations. She is an accomplished fundraiser who honed her skills mobilizing resources for various nonprofit organizations over the past 12 years, including Global Greengrants Fund, where she raised more than $10 million to propel grassroots environmental action. Courtney holds an M.A. in International and Intercultural Communications from the University of Denver and degrees in Ethnic Studies and American Studies from the University of Texas at Austin. She serves on the Board of Directors at Chinook Fund, a Colorado-based social and economic justice grantmaker, and is an advisor to Their Kids, a socially conscious childcare collective expanding resources to support gender inclusion and empowerment. Courtney gets up early for sunrise hikes and always has a pint of ice cream in her freezer. Laura is an organizational development and public health professional with public, multilateral and NGO program management and research experience in the US, Europe, Africa and Latin America. She has expertise in strategic and implementation planning, maternal and reproductive health, gender mainstreaming, public policy, qualitative research and analysis, capacity building and organizational development. Laura has worked in both domestic and international public health. She managed New York City’s multi-million dollar Title X (federal family planning) program to help ensure women are able to access the reproductive health services they need. She has a Masters in Public Health from Columbia’s Mailman School of Public Health and a Masters in Public Administration from Columbia’s School of International and Public Affairs (SIPA). Laura speaks Italian, French and Spanish and hold US and Italian citizenship. Coeylen is the founder and CEO of CreatEdu, which provides innovative consulting and facilitation using the human-centered design progress. Coeylen has spent the last 10 years using human-centered design to transform organizations around the world. Recent clients include the Colorado Department of Education, CU Boulder, local school districts such at St Vrain Valley School District, Denver Public Schools, and Boulder Valley School District, The California Library System, and a variety of start-up companies across the country. After receiving her Masters Degree in Curriculum and Teacher Education from Stanford University, Coeylen joined the founding team of African Leadership Academy as manager of curriculum development. She has also worked with the Stanford Institute of Design to create and implement professional development and training tools.In her spare time she mentors with local business incubators. Recent successes include overhauling district level professional development systems, redesigning key structures such as assessment and scheduling and the design and implementation of a new innovation program at CU Boulder. Leslie is the founder and principal consultant at Idea Infusion Consulting. She has worked in the nonprofit and government sectors in Colorado and nationally since 1999, addressing organizational effectiveness, strategy, change management and human-centered design training and facilitation. Leslie started her career as a high school teacher and coach, and moved into working in nonprofit organizations in public health and social justice. She is a certified coach in the emotional intelligence quotient inventory, and a certified practitioner in Prosci Change Management. She has a bachelor’s degree from Colorado State University and an M.A. in nonprofit management from Regis University. Sharon operates Goldfinch Research Group. Its mission is to use social science research and evaluation to shift dialogues and practices in ways that enable low-income communities, people of color and groups that are excluded from social and economic decision-making to achieve their full capabilities. She also helps organizations to identify their research priorities, invest in their capacity to do research, and disseminate findings. Sharon has over 15 years of experience working with nonprofits, government agencies and academic institutions. She has led research in women's empowerment and demographic outcomes, maternal and child health, early childhood development, HIV/AIDS, and mental health. She has conducted evaluations in the US and internationally. she has a PhD in Demography from the University of Pennsylvania. Margaret is the President of Greeneworks, an international consulting firm that offers research strategy, program evaluation and support, policy analysis, and organizational strategy development. Her work combines demographic, anthropological, ecological, and public health research methods to strengthen development efforts. She has 20 years of international substantive and leadership experience as a staff member and consultant with diverse organizations and agencies, including NGOs, funders, and other institutions. She has a particular focus on social inclusion, reproductive health and rights, and gender equity. Margaret has a PhD in Demography from the University of Pennsylvania. She lives in Washington, DC with her family. Phi is a business consultant with 20 years experience in operations management, process improvement, real estate and green building, and energy efficiency. She has worked in affordable housing with organizations such as Perry Rose LLC, the Metro West Housing Authority, and the town of Carbondale, CO. She has also managed process evaluations and benchmarking studies of energy efficiency programs, run LEED projects, and served as a telecommunications consultant. She has also managed communications, outreach and events for nonprofit and for-profit clients. Phi's varied background allows her to manage all aspects of complex projects, from the details to identifying big-picture business implications. She has an MBA and a Master's in Environmental Studies from the University of Colorado Boulder. Roger is the principal consultant at Roger Lewis & Associates. He consults with community development leaders nationwide on strategic planning, board development, sustainability, and business modeling. He also provides leadership development and performance coaching. He has a particular focus in working with Community Land Trusts. Roger has served as executive director of the National Community Land Trust Network, and worked for the City of Boulder’s Housing Authority and Thistle Community Housing. He served in the Peace Corps and as a VISTA volunteer. He has a bachelor’s degree in Management Engineering from the University of Vermont. Alexis is a designer, project manager, and educator at CreatEdu who uses design thinking and human-centered design to increase the impact of organizations. She has five years of classroom experience teaching in public elementary and middle schools, and several years of experience as a producer and designer in the toy industry. She has designed many educational, and some not-so-educational, toys for Hasbro, Mattel, MGA and others. Several of her toys have been nominated for prestigious Toy of the Year awards. Additionally, as a producer, she has managed numerous large projects with six-figure budgets and coordinated teams spanning three continents. 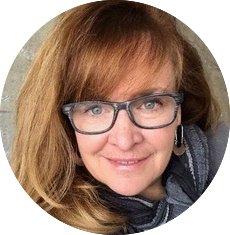 She designs and facilitates workshops and design projects to help educators and other organizational team members develop focus and clarity while increasing their creativity and effectiveness. She also project manages large organizational design projects. Recent clients include Global Greengrants Fund, BikeDenver, the City of Boulder, School Retool, and IDEA Public Schools. She has a BA in computer animation from Stanford University. Janine is a graphic facilitator and visual learning consultant, as well as the CEO/Founder of IDEA360, INC. Janine applies neuroscience, learning theory, graphic facilitation, and storytelling to tap into brainpower and inspire change by giving participants the tools to tell the stories that matter long after the meeting. For over 20 years, Janine has helped make the invisible visible for Fortune 100 clients and nonprofit organizations that need a repeatable blueprint to reach important meeting outcomes. Janine practices dynamic, experiential big-picture learning processes so meeting participants can fully engage in conversation, and tether their ideas and beliefs to the big picture of the organization. Janine has partnered with organizations like the Robert Wood Johnson Foundation, Coca Cola, Mars, Johnson & Johnson, Smithsonian Institute, Google, Denver Public Schools, CHFA, Singularity University, Ernst & Young, McKinsey, Kaiser, Merck, ASU and many more.